Home Featured	Want Transit? Vote on it. Hemmed between the Fraser River, the Salish Sea, and some of the most beautiful national parks in Canada, Vancouver is a beautiful city. By virtue of its geographic fate, it is also one of the most densely populated cities in North America. Like many other major cities in Canada, Vancouver is being choked by traffic congestion. To alleviate the issue, the people of Metro Vancouver are voting in a referendum taking place from March 16 until May 29, 2015 that will decide whether or not they are prepared to stomach a 0.5-per-cent rise in the provincial sales tax (PST) to pay for a $7.5-billion shopping list of transit investments and improvements. The concept of a referendum for infrastructure investment is not new. The people of Regina recently voted to use private money to fund a wastewater facility, and it has proven to be a success in their case with an estimated $138 million in savings on a traditional procurement. Why it works well in Vancouver’s case is that it provides a clear political mandate for a multi-year, multi-billion-dollar plan. Holding a vote is not cheap and getting all levels of government to agree on a single plan takes time, but the alternative for other regions in Canada could be much more costly. On February 9, 2015, the City of Toronto handed over $75 million to the province for the costs Metrolinx had sunk into studying the feasibility of a light-rail transit project in Scarborough. City hall opted for a subway extension instead. This is not a unique scenario. The list of cancelled projects littering Toronto’s transit history is depressingly long—projects undone, unraveled, or undermined by a change in leadership, bringing with it new political ideologies or the desire to make a mark with a shiny new project. In areas of high population density, we have seen again and again that relatively small groups of local opponents can be very effective at blocking projects. As local pressure is applied and elections approach, the risk is ramped up that projects get cancelled or delayed and the transit map gets redrawn. A vocal and active group in any ward opposing a project can have a huge impact on the bearing of an election and, subsequently, the fate of that project. As well as getting the green light for a list of priority projects, Vancouver’s referendum also lays out the sacrifice required—in this case, a 0.5-per-cent hike in British Columbia’s PST for Metro Vancouver residents. The scale of transit infrastructure investments required in Canada’s largest cities mean a variety of funding options need to be considered. Cities across the country are mixing together a casserole of options to pay for transit. Increases in property taxes, leveraging land value capture, increased transit fares, and different variations on tolling have all been put forward. Public-private partnerships are now also gaining momentum for transit projects in large municipalities and will play an increasingly important role over the coming years. As an alternative to a referendum, and to provide more certainty around multi-billion-dollar projects, the United Kingdom develops standalone legislation for major transit projects. This is a way of making sure there is broad support from all sides of the political spectrum before a shovel is put in the ground. A cross-party committee then spends months hearing petitions from individuals, local government, and special interest groups and has the power to make changes to the bill. With that being said, the committee must adhere to its principle of building the project within broad route parameters. Based on precedent, these big transit projects in large urban centres are risky propositions. The cost of just preparing bids is not unsubstantial, and it gets difficult to stomach if a project gets cancelled. Once a project is underway, it should be off limits to politics. But we have seen that issues can still arise. This political uncertainty has an impact on project costs and what funding models can be used. Without strong guarantees in place that the government will shoulder the political risk, bidders have no choice but to add a healthy premium on bids to offset the risk. Without the luxury of a referendum or special legislation, steps can be taken to insulate a project from political risk. First, the winning bidders need to be well prepared. This means identifying all the stakeholders around a project and being aware of their positions and their ability to influence decisions, then developing a plan to proactively address any reasonable concerns. Second, the lead contractors should establish a strong working relationship with the public sector owner at all levels, setting out clear expectations and strong lines of communication. Finally, the project team needs to continue to nurture relationships locally, especially with opinion leaders in the community, and anticipate or respond quickly to concerns they may have. The democratic system in Canada, with multiple layers of government and relatively frequent elections, is a fertile ground for local opponents to projects. As projects get bigger and the population gets denser, the risk gets bigger. Political risk is usually seen as being virtually inevitable and is often ignored until it is too late, but it can be reduced by active local engagement and accommodating reasonable requests. Ultimately, the political foundations around large-scale transit projects need to be election proof. 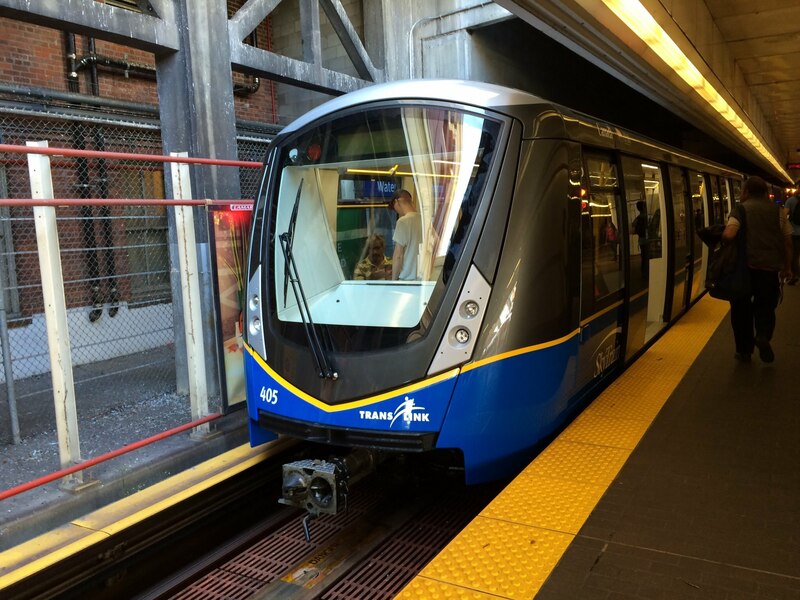 With an estimated $54 billion in spending required just to meet current transit requirements in urban Canada, all eyes will be on Vancouver’s referendum as a possible template for getting things built in the future.